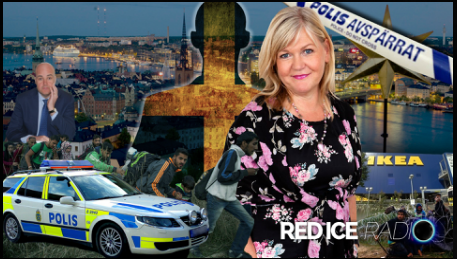 RED ICE RADIO: INGRID CARLQVIST AND CONRAD DISCUSS SWEDEN AND IT’S COMING IMPLOSION……. – The Tundra Tabloids……. RED ICE RADIO: INGRID CARLQVIST AND CONRAD DISCUSS SWEDEN AND IT’S COMING IMPLOSION……. Next Post Next Post A HIGH SCHOOL STUDENT WHO WILL NEVER GET A CALL FROM OBAMA FOR A VISIT……..